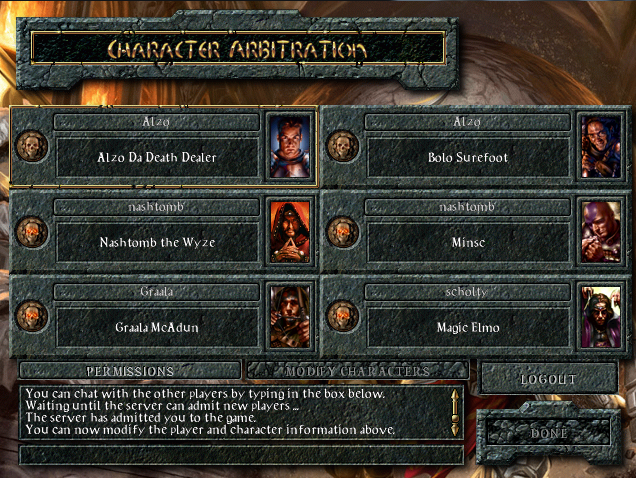 Before Baldurs Gate Enhanced Edition was announced, Alzo mentioned he had never played Baldurs Gate before. 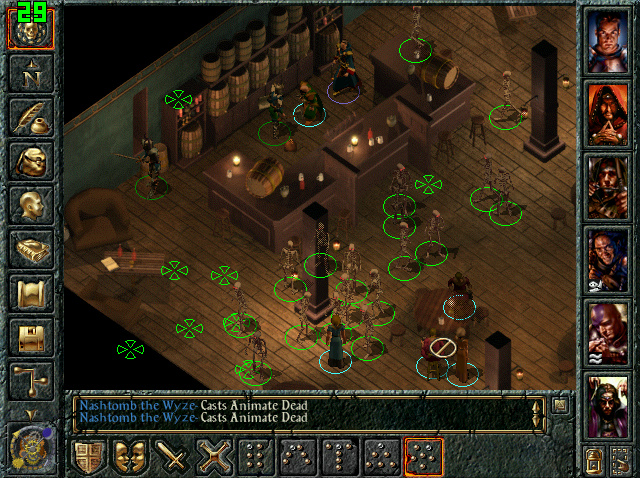 Three others and I got together, gathered our party and ventured forth. Tuesday was found to be the best night for everyone being available, with occasional sessions should everyone be available. We took a party of 5 and deliberately left one space so we could pick up Minsc when we encountered him (Alzo didn’t really get why at first having not played it, all those who had played it before insisted on his inclusion). We also took a good party and decided not to go on a loot fest in peoples houses or to use out of character knowledge (with a couple of exceptions where otherwise we would have been going in circles or were close to midnight so wanted to finish something we have stuck to this). 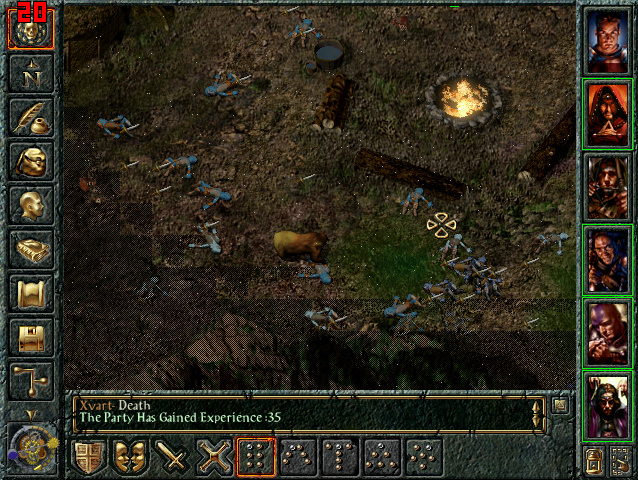 It did take a while of fiddling with a number of different services before we found one which worked with Baldurs Gate – Tunngle. We also needed to get everyone a headset or microphone/speakers and used Steam to chat in game. The other expense was that two players were on the same network and their router didn’t seem to support that – buying a new one fixed the issue. We have been having a grand old time and are hoping to complete the game before the Enhanced Edition is released. 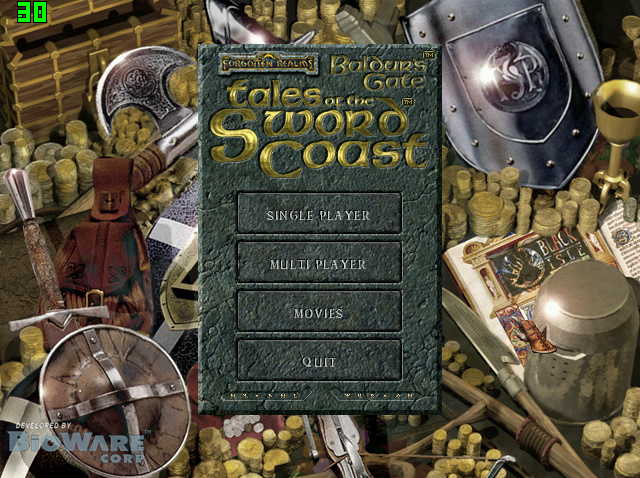 Have you introduced any n00bs to a 10+ year old game in multi-player? 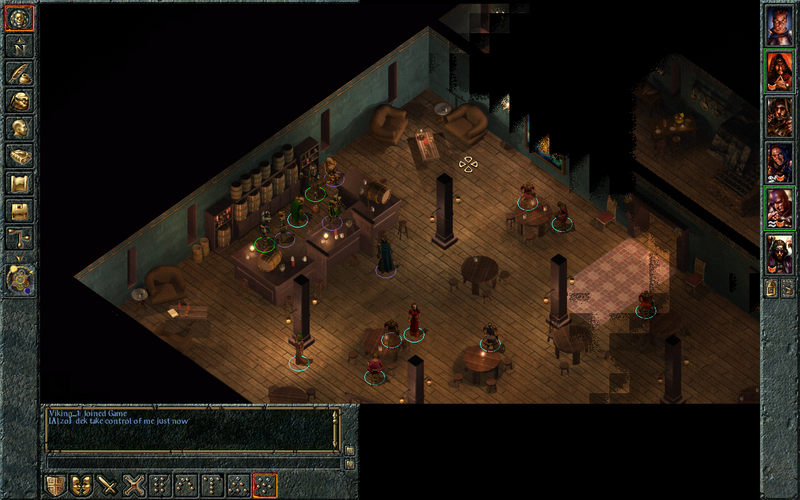 More importantly, how much are you looking forward to the Baldurs Gate Enhanced Edition?